Bay gelding, Born 02 March 2011. First foal; dam unraced half-sister to prolific 1m4f-2m (inc Fibresand) winner Sendintank, 11.6f/2m (AW) winner Sendinpost, 1m6f AW winner Zaville and 1m4f AW/bumper winner Eighteenfifty out of 7f-1m4f winner. Born and bred at Norman Court Stud, NAKEETA has simply got better and better with age. 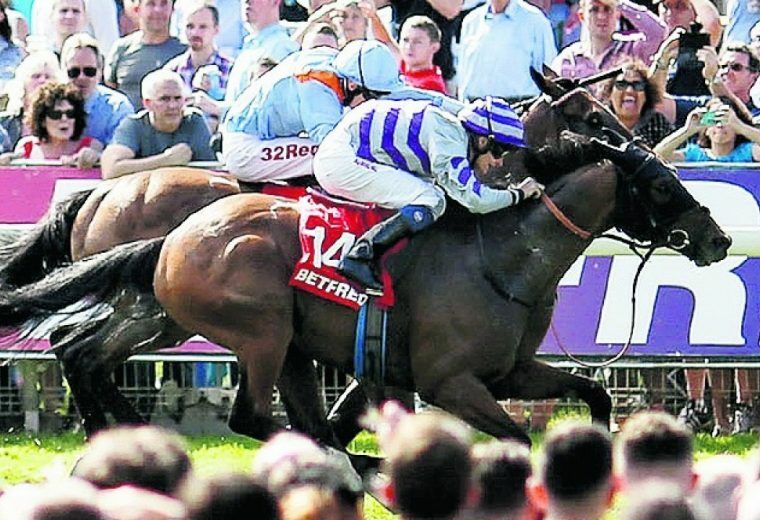 Brilliantly handled by his trainer Iain Jardine, Nakeeta missed out on a string of big handicaps, finishing second in the Chester Cup and the Brown Jack of 2016. Similar game efforts followed in 2017 before he finally hit the jackpot with a thrilling victory in the Ebor handicap at York in 2017. He followed that up with a gallant fifth place in the Melbourne Cup that autumn with the impression that there is more to come from a consistent and tough campaigner.